Maintaining a gluten free diet can be difficult, but I guarantee that if you give it some time you will feel the difference. Until you become more familiar with the food additives that do and don’t contain gluten, try not to ingest anything with ingredients that you can’t pronounce. Be particularly careful of any of the following: thickener, starch, flavoring, stabilizer, vegetable gum. If you are unsure, don’t eat it! Instead stick to fresh foods and product marked as ‘gluten free’. 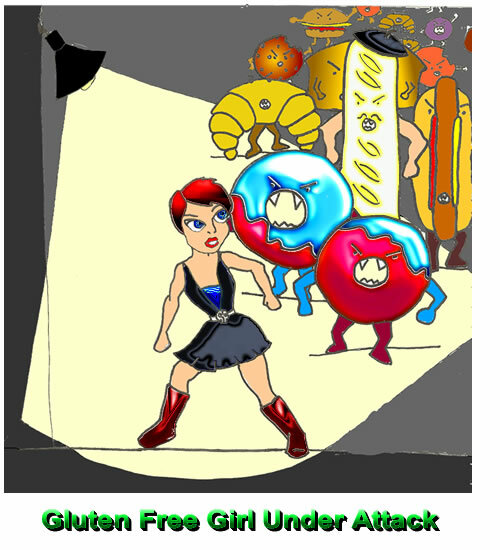 Do not be suckered in to products that advertise ‘low gluten’ they will still make you sick and/or inhibit your recovery. Most companies have an inquiries line or web site, make use of it! Try shopping at your local health food store, they often stock more than your standard gluten free products found at supermarkets. Learn to become a nuisance! Nobody enjoys inconveniencing other people, but even the tiniest amount of gluten can make you sick or cause problems long term. So be ruthless with family, friends and restaurant staff. Join the celiac society! They offer some great support. If you find any restaurants in your local area that offer gluten free options, or any products we have neglected to mention, let us know and we’ll add it to the site!